7p Kin tour around middle earth! 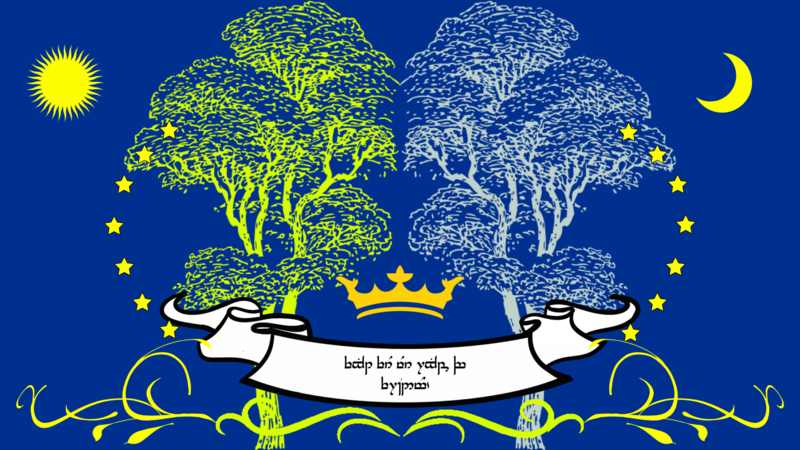 Last week, we hosted an important poll in the Elvenpath; a poll with which we'd democratically choose the new flag and motto of the Alliance. The vote ended with 3:21:5, meaning Eruiana and her flag won the contest and thus she wins 100 gold from the Alliance. The flag of the Elvenpath is now her flag, and the motto of the Elvenpath is ''Fight for our rights of freedom!''. Istoron: Hello Fellow elves! I would love to join this awesome Kinship. Hymile: The LOTRO game worlds will be unavailable from 9:00 AM - 1:00 PM Eastern (-4 GMT) on Tuesday, October 9th to release Update 23: Where Dragons Dwell. Aldiann: Hey there Ornessar. Aldiann did send a secret Santa gift, honest, I'll email you IG with details. Ornessar: The servers are back online. Hymile: The LOTRO Game Servers will be brought down on Thursday, December 14 from 8:30 AM - 12:00 PM Eastern (-5 GMT) for an update to the game. Click here for the Release Notes. Thanks for your patience, and we'll see you back in the game soon! Hymile: Heard that worlds are open too. Have fun! Hymile: Lotro client is patching! Hymile: The LOTRO Game Servers will be brought down on Monday, December 11th from 8:00 AM - 1:00 PM Eastern (-5 GMT) for an update to the game. Click here to read about changes. Thanks for your patience, and we'll see you back in the game soon! Ornessar: The secret santa event just started! Check your mailbox if you applied. You will find your match and instructions there.